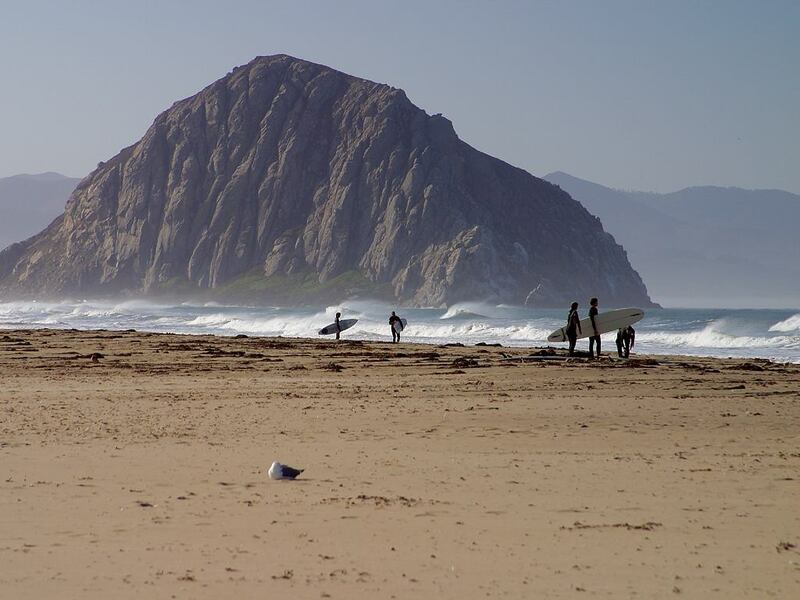 The most well-known member of the Nine Sisters volcanic mountain chain in central California is Morro Rock. Standing 580 feet above the entrance to the Morro Bay harbor, “The Rock,” as it’s called by the locals, is the signature icon of the quaint, coastal town of Morro Bay. When you're not enjoying the view of this historical landmark from the deck of your Morro Bay vacation home, here are the some of our favorite ways to enjoy Morro Rock. Take a kayak out on the calm waters of the bay to get a unique perspective of Morro Rock. This is one of the best kayaking spots on California’s central coast, known for its stunning views and abundance of wildlife, from harbor seals and sea lions to rare and endangered bird species. Bring the whole family along - even the dog! The quiet Morro Bay waters are perfect for beginners and experts alike. The Morro Bay Boat Launch in Tidelands Park at the end of the Embarcadero has free parking and provides the perfect launch spot in both high and low tides. From there, it’s just a short paddle out to the sandspit - a 5-mile stretch of sand dunes that separates Morro Bay from the Pacific Ocean and a great place to picnic and hike! Meander through the local shops, galleries and museums along the Embarcadeo - Morro Bay’s unique, waterfront shopping district - and catch glimpses of Morro Rock as you go from shop to shop. Or, have a seat and relax in one of the area’s top restaurants with unbeatable views. Blue Sky Bistro On The Bay: Find a spot under a colorful umbrella on their dog-friendly patio. The gorgeous Morro Rock is just next door! Located in Marina Square, this local favorite is often named for having the best breakfast in town. The kitchen works with local farmers and wineries to create their menu, and you can often catch local musicians performing on the weekends. Harbor Hut: This Morro Bay icon is known for having one of the best views of Morro Rock. Family owned and operated since 1951, this local seafood joint specializes in mesquite broiled dishes. Grab a tiki drink and head outside to enjoy the view and watch the sea otters swim by. The Libertine Pub: Grab dinner and a beer in this comfortable, low-key brewpub with awesome Morro Rock views. Owned and operated by San Luis Obispo based Libertine Brewing, the vinyl-spinning bartenders pour a mix of 48 draughts - a mix of their own signature beers and other world-class brews from around the globe. Ready to see Morro Rock up close? Rent a beach cruiser or throw on your walking shoes and hop on the Harborwalk trail. Beginning at the north end of the Embarcadero, the Harborwalk winds along the coastline and ends at Morro Rock. As you head down the 0.5 mile boardwalk and bike path, take in sweeping views of the bay and The Rock. Keep an eye on the water - you’ll likely be joined by sea otters and seals! There are plenty of opportunities to stop and enjoy Morro Bay along the Harborwalk, including sandy beaches where you can dip your toes in the water and Coleman Park which provides swing sets and picnic areas. 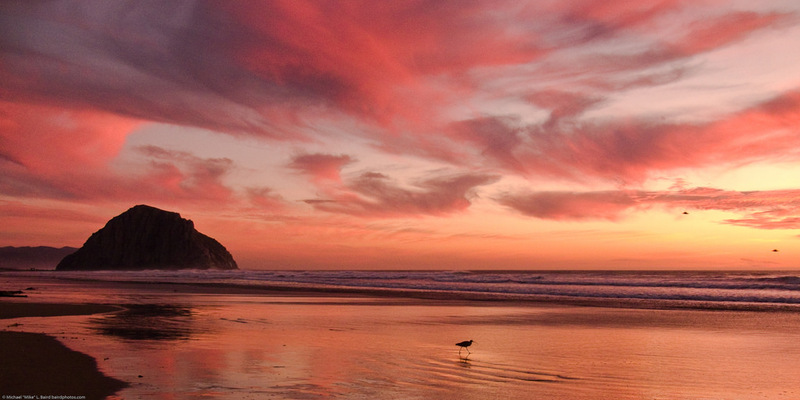 Get a bigger picture view of Morro Rock from nearby Montana de Oro State Park. Head up the winding mountain road to enjoy the park for the day with a picnic and a bottle of wine, or reserve a camping spot and spend the night. Either way you’ll be treated to majestic sunsets and panoramic views of the coastline. Drive to the end of the park to the the trailhead for the top-rated Bluff Trail - an easy 2.3 mile hike along the coastal cliffs with Morro Rock views in the distance. Be sure to bring sunscreen and a jacket. The trail is largely in the sun, however it can get chilly with the ocean breezes, even in the summer.